고성군 동해면의 성산을 배경으로 해안을 바라보는 낮은 언덕과 평지에 모여있는 가야 무덤들이다. 이곳에는 100여 기의 무덤이 있었다고 전해지나 현재 60여 기만 남아있다. 봉토의 지름이 10m 안팎인 것이 40여 기이며, 15m 이상의 것도 20기정도 있다. 내부시설은 구덩이식돌널무덤(수혈식석곽묘)으로 가야지역의 일반적 형식을 따르고 있다. 경질토기와 철기류가 출토되었고 부근에서 회청색 경질토기편이 채집되어 대략 6세기경 유적지로 추측된다.『삼국사기』에 보이는 고자국(古自國)과 소가야의 관문을 지키는 역할을 한 세력이 있었던 곳으로 보고 있다. 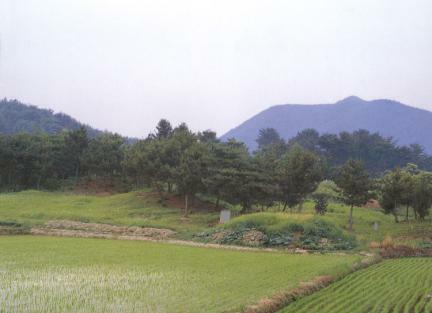 Located in Seongsan Mountain, Naesan-myeon, Goseong-gun, these tombs were built in the Gaya Period. About one hundred tombs were known to have remained there. However, only about sixty remained. 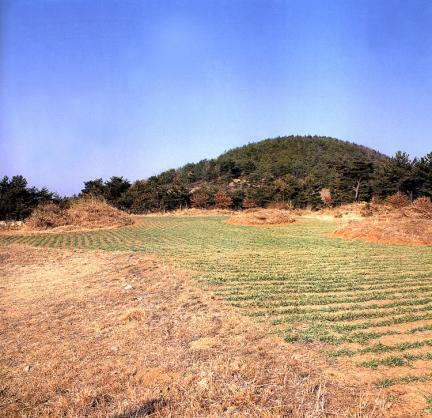 The diameter of forty mounds was 10 meters, whereas that of twenty exceeded 15 meters. Inside, it followed a typical style of the Gaya area, i.e., the subterranean stone-lined pit tomb. 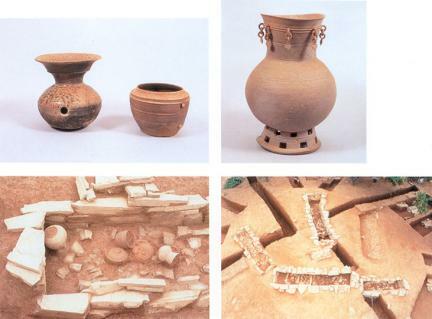 They were known to have been made in the 6th century considering the hard vessel and ironware excavated here. Bluish gray earthenware with hard surfaces was unearthed in this area as well. It was considered the barrier to protect Gojaguk and Lesser Gaya as written in Samguk sagi (History of the Three Kingdoms).